Data scientists are growing in demand across the world in a wide range of industries, ranging from healthcare and automotive to science and research. Organizations are continuously collecting and generating data—and data scientists help us analyze and make sense of it. While many companies have entire teams of data scientists in-house, not many can afford to hire full-time data scientists. Smaller organizations usually hire a data scientist on a freelance, on-demand basis. Looking to hire a data scientist? Post your project on Kolabtree and get quotes from experts for free. Data scientist has topped Glassdoor’s list of Best Jobs in America for the last 3 years. According to LinkedIn, the US has a shortage of 151,717 people with data science skills, and the shortage is intensifying rapidly. Now not only big companies and organizations, but also startups and SMEs are starting to realize the value of data scientists. The demand for data scientists, both full-time as well as freelance, is only expected to grow over the coming years. A data scientists is simply someone who helps you make sense of data or generates value from data. Data scientists help to analyze large and complex amounts of data, uncover hidden patterns, make meaningful inferences and help drive decisions. For example, a data scientist could help build a predictive model for the sales of a product, by identifying a pattern based on existing data. A data scientist could also work with machine learning algorithms to deliver personalized recommendations, develop AI-based tools for automation, or perform a statistical analysis of laboratory research results. Data science can be a lucrative field to be in. According to Glassdoor, in the US, the average salary of a data scientist is $117,345. In the UK, the salary of an experienced data scientists can be upwards of £60,000, sometimes even exceeding £100,000. On Kolabtree, freelance data scientists typically charge in the range of $35 to $200 per hour, and the typical rate of a fixed fee project is $2000. The cost varies per project — something like analyzing a dataset might cost less than developing a full-fledged forecasting model for a business. If you’re working on a specific product or algorithm, describe the specific issues you’re facing. If you’re not willing to get into the specifics, don’t worry — you can always sign an NDA with the freelancer before disclosing any confidential information. The primary thing to look for in a data scientist is their education and work experience. Most data scientists nowadays have a Masters degree, if not a PhD. 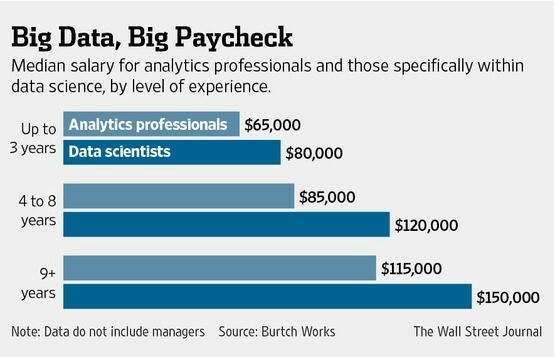 The 2018 Burtch Works report mentions that education plays a huge role in determining data scientist salaries, with data scientists holding a PhD earning higher median base salaries than those holding a Master’s degree in every job category. On Kolabtree, most data scientists are specialized with a PhD or a Masters in a particular subject or discipline such as machine learning or AI. Many of them have interdisciplinary experience — meaning they could specialize in data science within biotechnology or business analytics. When you’re hiring data scientists, you don’t have to necessarily look only for those with a qualification in data science. Astronomers, physicists and biostatisticians also work with large amounts of data and may have the expertise necessary for your project. You could also have a look at the ‘Publications’ section of the freelancer’s Kolabtree profile to see a list of their published work in journals and books. Data scientists work with a variety of programming languages, most popularly R and Python. If you have a preference for a tool or program like SPSS/STATA, Hadoop or Tableau, discuss previous projects the freelancer may have worked on using these tools. While each interview will depend on the project at hand or the challenge you’re looking to solve, here’s are three main things to keep in mind which will help you select the best-suited candidate. Expertise match for the role: Does the candidate have the necessary degree or qualification to take on your project? Say, you’re looking for someone to optimize a clinical trial. Does the candidate have a solid background in clinical research as well as statistical skills? Approach to the project or role: What would the candidate’s approach to the project be and can they provide a step-by-step methodology as to how they will solve your problem? Can they break down a larger project into smaller milestones and provide the steps they will take to achieve each one? This is particularly useful while hiring freelancers as even rough estimates can help assure you that the expert has what it takes to work on the project. Previous projects: Can the data scientist highlight previous projects they’ve worked on before that holds them in good stead for this role? With the sharp rise in data science salaries and the equally steep rise in their shortage, companies often struggle to be able to access and afford expert data scientists. Freelance data scientists and independent consultants are tapping to tap into the demand by offering their services to those who need them. 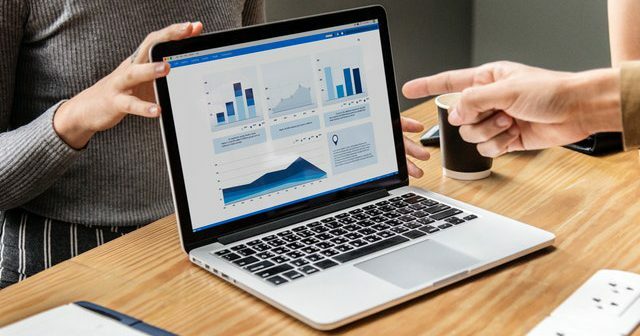 Hiring freelance data scientists helps to cut across geographical boundaries and access top-quality expertise, on demand, and at a fraction of the cost to hire an in-house, full-time employee. 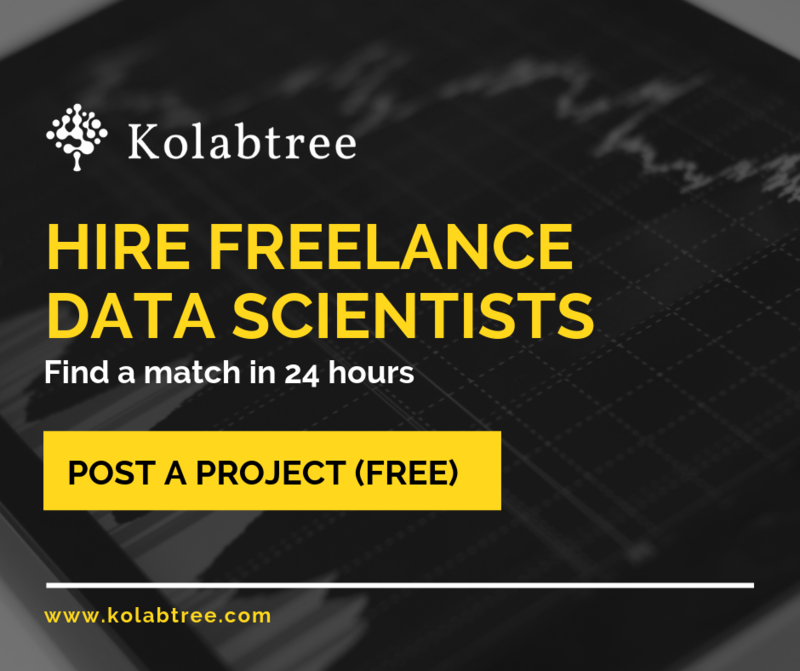 Kolabtree has hundreds of freelance data scientists on board, who are from reputed institutions such as MIT, Cambridge University, Harvard University, and more. It only takes a few seconds to post your project requirements and get quotes from experts for free.